In our last blog, we shared the benefits of training employees in the technology they use. Successful businesses invest in their employees and provide training to equip their teams with relevant skills. 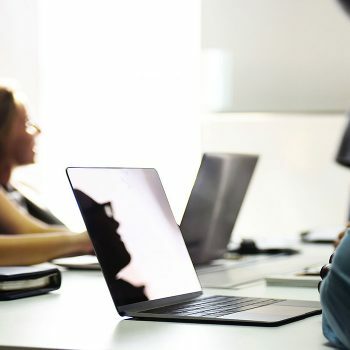 When implementing a new CRM or migrating to the latest Microsoft Office version, how you deliver that training will define how successful your staff’s use of technology will be. What is the best way to provide that training? Should I send my team to open enrollment classes? How will I know if the training was effective? Answers to these questions depend on your goals, the subject matter and the number of students you need to train. Open enrollment classes are one option for Microsoft Office, Adobe and Google applications. If you want to find a specific class, all you have to do is a quick search. You will find many companies that offer open enrollment classes. All you have to do is register your employee and you are good to go. This may make sense if you only need to train 1 or 2 employees and they are only learning introductory topics. Open enrollment is an inexpensive option, but what if you have more than 2 employees? What if you onboarded new software and need to train 10 employees? The class is tailored to your organization. Private classes enable you to customize the class using real work examples to teach your staff what you want them to learn. In an Open class, the instructor cannot work on your student’s work example and only teaches the course curriculum. Take MS Excel, for example, organizations use it for different reasons. Before teaching your class, our instructor adapts our core curriculum and integrates your work samples for the Excel functions that support your business functions. The class conversations are confidential. In an open enrollment class, students are hesitant to give real life examples of how they need to use Excel. We can help your employees walk through examples that are relevant to your business so that they will retain their knowledge. The class allows time for questions and for students to truly learn. 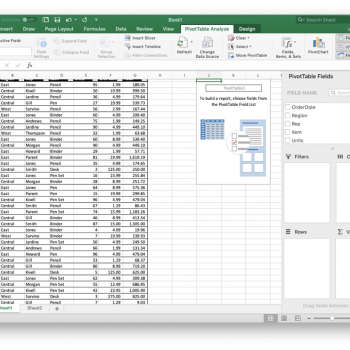 If an employee is having a hard time understanding Excel Pivot Tables, for example, the class is a safe environment for them to seek extra help and our instructors will take the time to explain. Our instructors know to stay after class to make sure all questions have been answered. The class can focus on a Project where the students are the Project team. Private class topics can be focused on how to use specific technology to achieve Project reporting needs. The class is much more cost-effective. With 3 or more students, private and open enrollment pricing is not that different. When you hold the class at your office, you also save the staff’s time and out of pocket expenses. Given the benefits listed above, the yield on private classes is very compelling and will be greatly appreciated by your team. We know proper training for your employees is important. Proper training helps everyone to operate consistently and reduces stress. We offer software training for government agencies, trade associations and other non-profits, and for private enterprises including professional service firms, government contractors and construction companies. Our software training includes Microsoft Office, Adobe Creative Cloud, Google Apps, and CRM technologies. If you are interested in private group training for your organization, please contact us for a free consultation.